The man felt the needles when he sat on the train seat this morning in Melbourne. 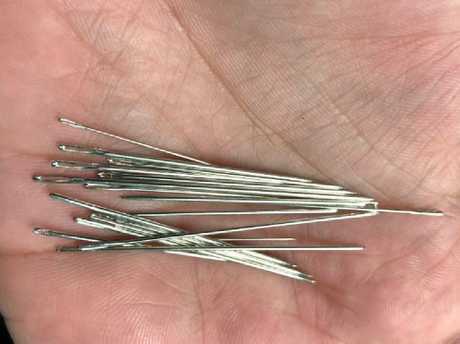 A MAN has found over a dozen needles embedded in a train seat during his morning commute in Melbourne. Anthony Artusa, described sitting down and feeling the needles prick the back of his legs. He felt his pockets to see if the sensation had come from his own pants. "Word of warning when travelling on @metrotrains," Mr Artusa wrote on Tuesday morning. 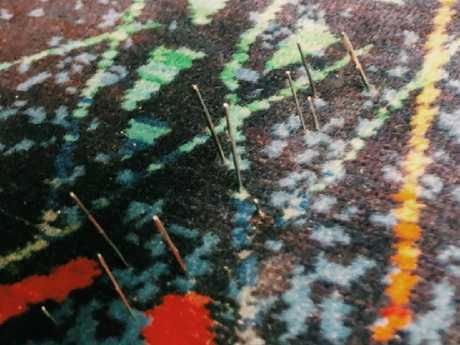 "Had a lovely surprise this morning when I sat on a seat with around 20 needles sticking out of it." He said the needles had been pushed under the surface of the seat so they were invisible until he sat on them. 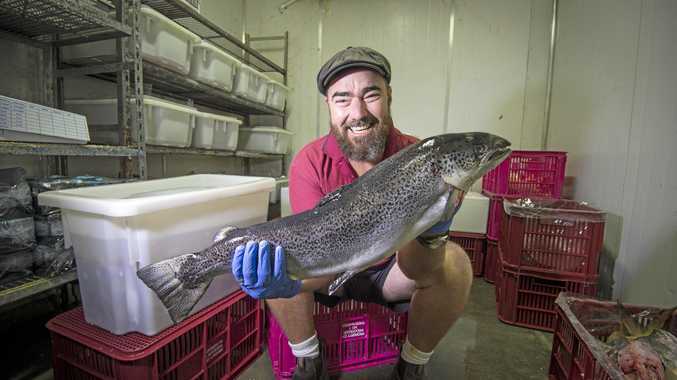 "Once I sat, they poked out into me," he said. The man claimed the needles had been pushed under the surface of the seat. Mr Artusa was travelling on the Melbourne City Loop train which he boarded at 7.54am from West Footscray. 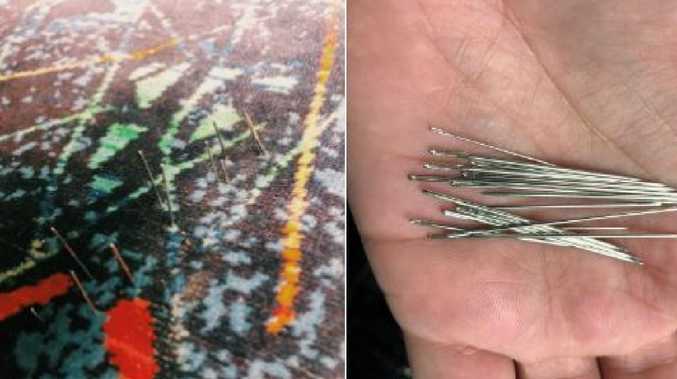 He was contacted by Metro Trains on Twitter requesting the carriage number, but Mr Artusa said he failed to take note of which carriage he was in, because he was busy removing the multiple needles from the seat and checking other seats for sabotage. "I didn't look, was too busy checking other seats and picking needles from the seat," he wrote on Twitter in reply to Metro Trains. Mr Artusa was also contacted online by Victoria Police. Mr Artusa said he would spend the evening having a blood screening. Metro Trains are now engaged in an investigation in co-ordination with Victorian police to find the culprit. A spokesperson for the public transport service labelled it "a terrible act of vandalism. "Metro has launched a full investigation into the incident and will work closely with Victoria Police." Last year Australia faced a wave of food contaminations beginning with needles placed in strawberries. Consumers were warned to check certain brands of strawberries during September, and a number of other copycat contaminations allegedly took place. The contamination crisis engulfed all six Australian states and needles were found in different kinds of fruits. In the fallout tonnes of strawberries were dumped and food security laws were tightened, with harsher jail time penalties introduced. He retrieved all the needles he could find embedded in the seat.